What happens at an Energy Healing session? An initial period of discussion and evaluation to clarify the various issues to be addressed. The healer can also use Extra Sensory Perception to aid the client in the process of discovering the original cause of their condition. This involves hands-on Energy Healing using a variety of available techniques. This can include phases of passively receiving energy work and possibly more cathartic emotional release. This is normally conducted with the client lying down, fully clothed on a therapy table. The session is completed with grounding and bringing into consciousness the newly awakened life force, such that the healing can be integrated into life. This involves further energy work and sharing of guidance received during the session. The benefits that people experience range from loving acceptance of themselves and others, to the resolution of chronic physical and psychological conditions. A list of benefits is shown on the energy healing page of my website. Sometimes there are dramatic improvements in only one or two sessions, but it is best thought of as a series of sessions that can go beyond physical health to spiritual evolution. 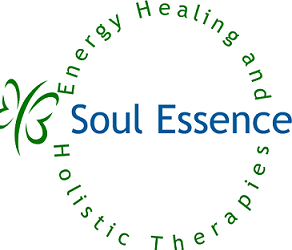 For more information or advice on whether a particular issue would be helped by energy healing, contact me by email or phone and I will get back to you. Thanks for you comment Ian. I like the way you have H.E.A.R.T in your title. I believe to work in this field you need an open heart and to be able to come from love. Had a quick scan of your blog and website, and agree our bodies are designed to heal themselves, energy healing is there to facilitate this by clearing the seven levels of the energy field, the physical and emotional body.